Trialed and tested in the harshest environments the Wave Relay® MPU5 compliments any Unmanned System, be it Air, Ground or Maritime. 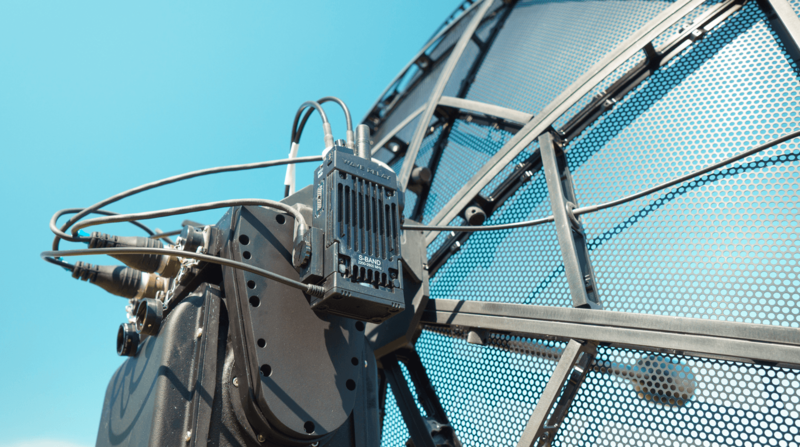 Steatite provides market-leading wireless RF Unmanned Communication solutions forged through market-leading partnerships to assist all areas of industry. Unmanned Systems are an ever-growing juggernaut in the commercial, industrial and military world. Utilising the Wave Relay® Embedded Module will provide built-in HD video encoding, Ethernet, RS-232 over IP, range extension, and an extremely high throughput Mobile ad hoc network (MANET) around the world. With a Wave Relay® MANET Smart radio on board, you can replace many systems on your unmanned platform with an Embedded Module or MPU5 radio reducing the size, weight, power, and cost. This, in turn, can lead to increased flight time and release valuable payload to embed other sensors. The built-in Android system enables your application to install directly onto the radio, transforming a single Smart Radio into a pilot system, fly or drive all your unmanned systems. Your entire fleet of unmanned systems can now operate, communicate and swarm on a common network. Introducing the Wave Relay® Auto-Tracking Antenna System into your MANET can extend your network by ranges surpassing 200 km whilst maintaining a steady stream of throughout, the data can be utilised for a variety of applications such as full motion video (FMV), communication range extension, sensors, and the ever-growing requirement for resupply drones providing faster and safer supply tasks.